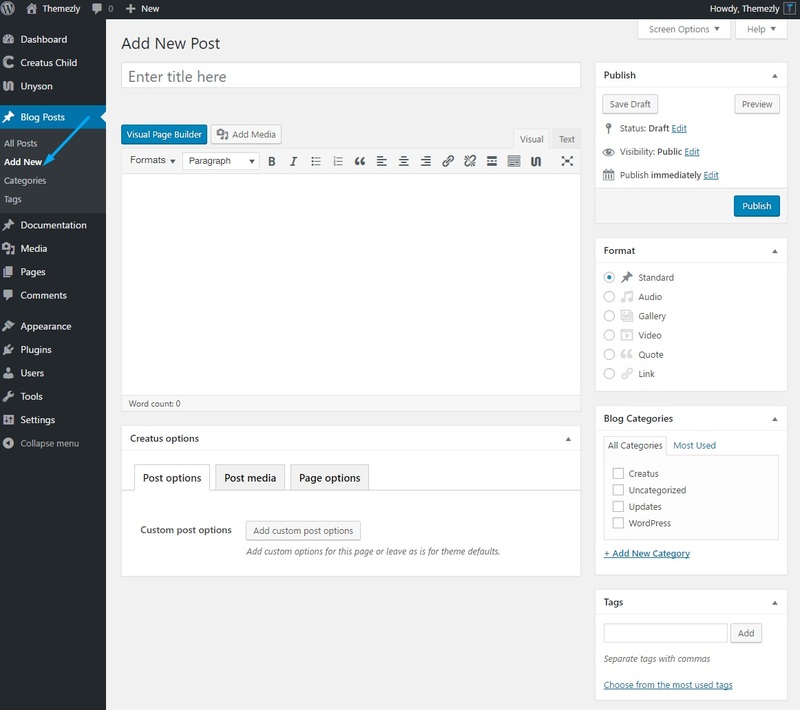 In WordPress side menu locate Blog Posts > Add New link and click on it. Once you are done setting up your post you may want to preview it before publishing. To do so, locate the Preview button and click on it. 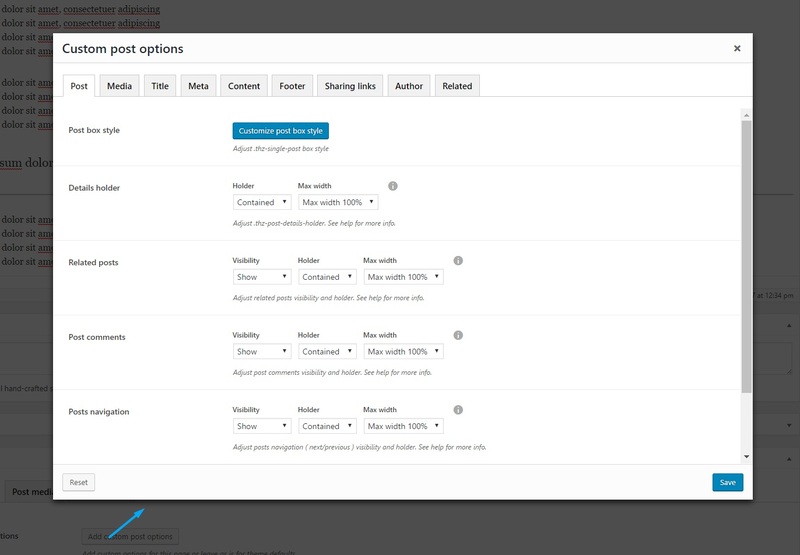 If everything is as you need it to be , click on Publish button to go live with your new post. 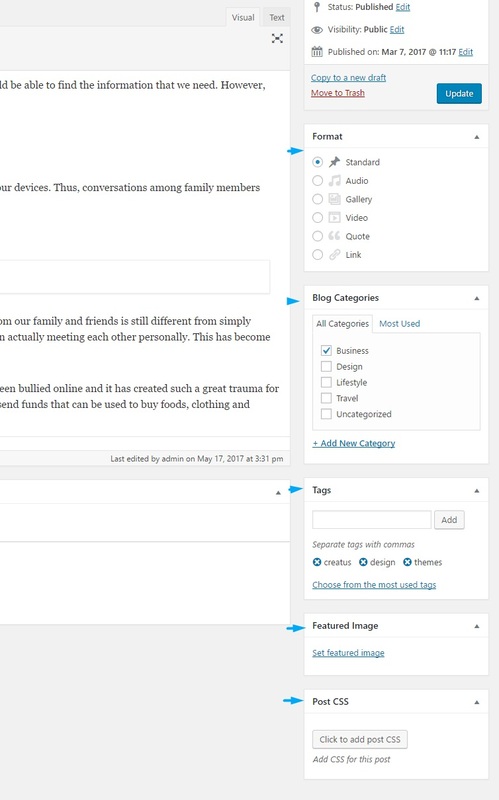 To access Creatus Blog post options please go to Blog posts > Add new and locate the Post options tab inside the Creatus options meta box. 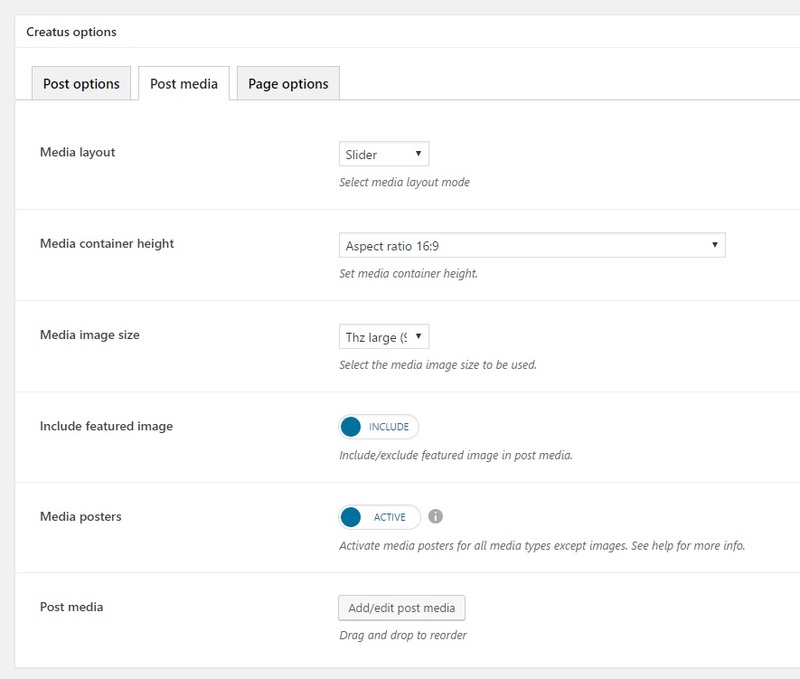 This section contains one popup option that will help you change default blog post theme options for this post only. The popup contains same options as Posts > Single post sub tab in theme settings. Media layout - select desired media layout. Slider or grid. Media image size - Select the media image size to be used. Include featured image - Include/exclude featured image in post media. Media posters - Activate media posters for all media types except images. 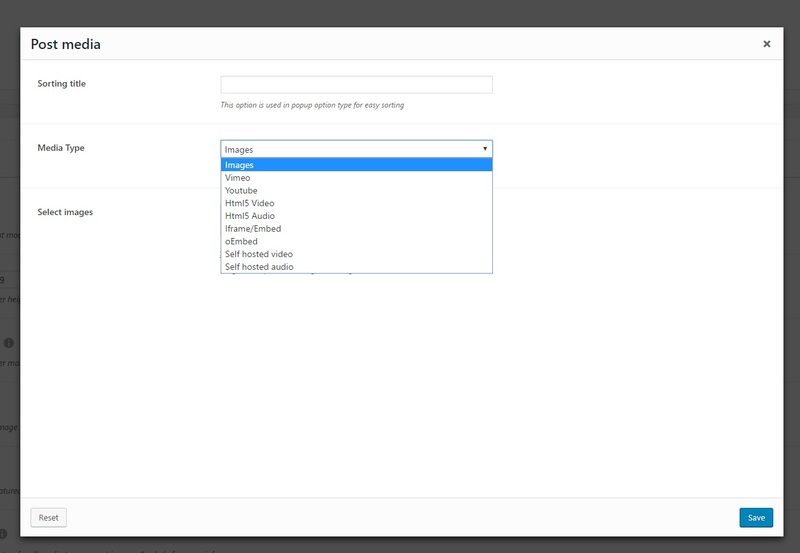 If this option is inactive, all videos and iframes load on page load and increase page load time. This option adds a preview poster wich than activates the media on click. Post media - add your post media. Please note that Post media tab is visible only if post format is standard. Otherwise you get to see specific post format options tab.